Coming off the most successful Kickstarter knife project in history with a high quality affordable chef’s knife, Misen is now introducing their brand new paring knife to the game. Utilizing the same quality materials as their chef’s knife, the Misen Paring Knife promises to deliver on peeling, coring, mincing and trimming. It’s made from Japanese high carbon steel which features 60% higher carbon content than other “premium” knives out there, while also using more acute 15 degree angles rather than the standard 25 degree angles for a noticeably sharper cutting face. Misen’s Paring Knife come in at a 3.2 inch blade , a total length of 7.2 inches and weight of 80 grams. 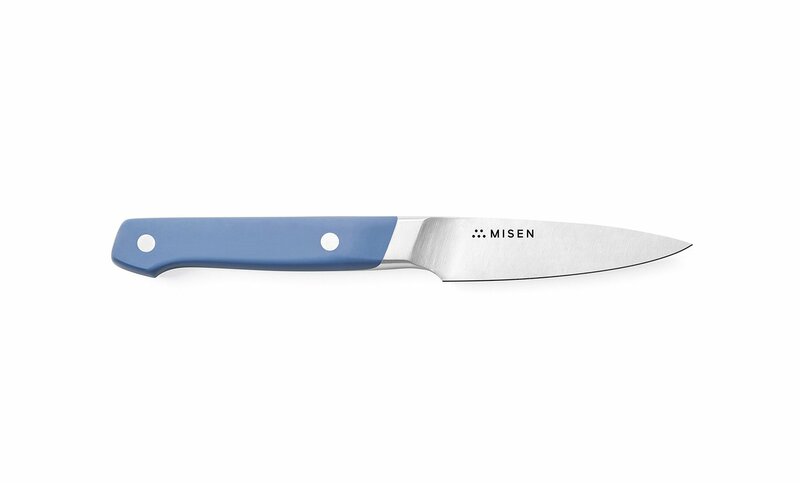 Mad props to Misen for coming out with clean, quality and affordable knives for chefs. Ships mid-March and available Here.